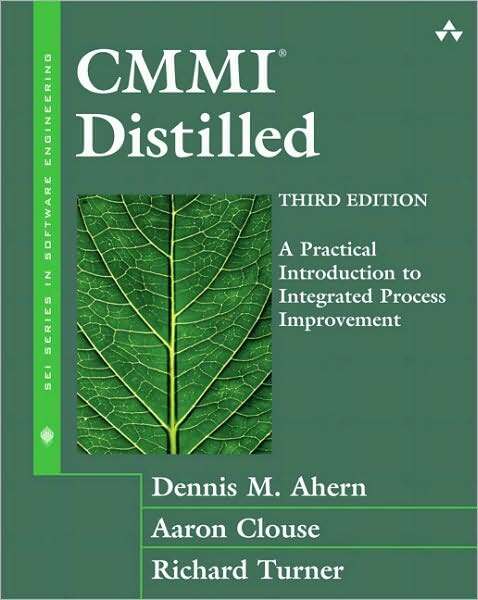 Updated for CMMI Version 1.2, this third edition of CMMI Distilled again provides a concise and readable introduction to the model, as well as straightforward, no-nonsense information on integrated, continuous process improvement. The book now also includes practical advice on how to use CMMI in tandem with other approaches, including Six Sigma and Lean, as well as new and expanded guidance on preparing for, managing, and using appraisals. Written so that readers unfamiliar with model-based process improvement will understand how to get started with CMMI, the book offers insights for those more experienced as well. It can help battle-scarred process improvement veterans, and experienced suppliers and acquirers of both systems and services, perform more effectively. CMMI Distilled is especially appropriate for executives and managers who need to understand why continuous improvement is valuable, why CMMI is a tool of choice, and how to maximize the return on their efforts and investments. Engineers of all kinds (systems, hardware, software, and quality, as well as acquisition personnel and service providers) will find ideas on how to perform better. The three authors, all involved with CMMI since its inception, bring a wealth of experience and knowledge to this book. They highlight the pitfalls and shortcuts that are all too often learned by costly experience, and they provide a context for understanding why the use of CMMI continues to grow around the world.